The impressive 2014 Honda Accord sedan in the Jackson MS area continues to be the midsize class leader. Actually, in 2013 more customers bought a new Honda Accord than any other car in America(1). 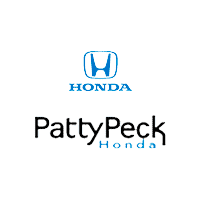 Car shoppers will find a large selection of Honda Accords at Patty Peck Honda. The Accord is a smart and reliable vehicle with a long-standing reputation for passenger safety. At Patty Peck Honda, our Jackson area Honda dealer, we are excited to announce that we have the 2015 Accord Sedan available on our lot. The impressive sedan continues to surpass various other models in its class. With a large selection of 2015 models, we can assure you that you will find exactly what you’re looking for. Make the right choice and opt for the Accord’s clever, dependable features that won’t disappoint. As this model remains one of the most popular vehicles in America, it isn’t a surprise that the 2015 Accord is flooded with technology and special features. The standard model is equipped with various safety features, as safety is a priority when behind the wheel. In hopes of reducing pedestrian injuries, Honda is including all models with a standard rearview camera—a feature that is rarely included on other cars. The 2015 Accord seems to be a perfect fit for Jackson Honda shoppers in search of a roomy sedan with an elite legacy. Outstanding fuel economy, a comfortable interior, revolutionized technological features at every turn. 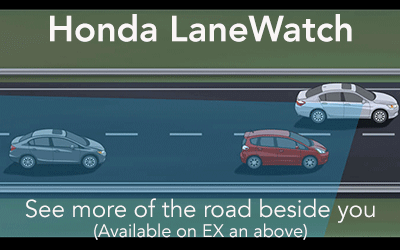 Innovative safety features like the Honda LaneWatch blind spot monitoring system. This system uses a camera and an in-dash display to provide an enhanced view of the passenger-side of the roadway. Chock-full of gadgets and gizmos, the model has everything you could possibly need to keep in touch with the outside world from behind the wheel of your vehicle. The Audio with Touch Screen is an amazing touch panel that grants the driver access to various media interfaces while safely operating the sedan. As Honda is committed to safety for everyone, it is no surprise that the Accord Sedan possesses advanced designs and features that aid in the enhancement of safety on the road and inside the vehicle, as well. The Accord can be a perfect fit for all Jackson Honda fans with a choice of two engines. The Earth Dreams Technology™ DOHC i-VTEC® system enriches the effect of the i-VETC® on the Accord’s 4-cylinder engine using Variable Timing Control™. Honda’s superior direct-injection technology leads to improved incineration and a more effectual use of fuel. This technology, with its 2.4L 4-cylinder engine, produces 185 horsepower and achieves 34 miles per gallon highway(1). This engine was made for the tree hugger in everyone. Don’t think we’ve forgotten about the speed demons out there, the available V-6’s i-VTEC® system is designed to convey surprising performance regardless of the engine speed. With Variable Cylinder Management™, you will accelerate at speeds you didn’t know possible with ultimate fuel efficiency. The Accord Sedan is available in LX, Sport, EX, EX-L, EX-L V-6, and Touring trim levels. Jackson MS Honda shoppers can visit us at our Patty Peck Honda dealership for your test drive today. Contact us at (601) 957-3400.